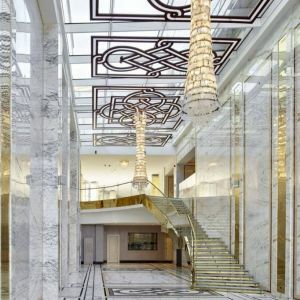 The Biltmore Hotel Tbilisi is a glass skyscraper and the highest hotel in the Caucasus Region. 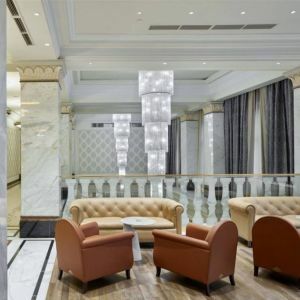 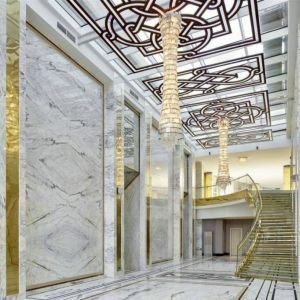 Offering astonishing views, it is ideally situated within the historic and cultural district of Georgia’s capital city. 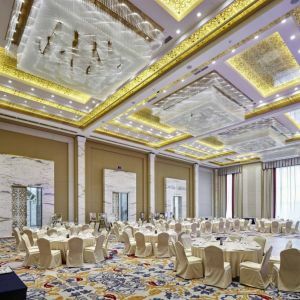 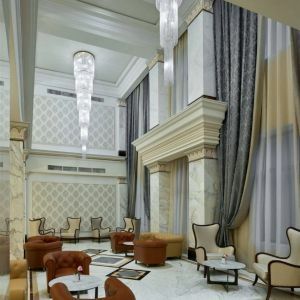 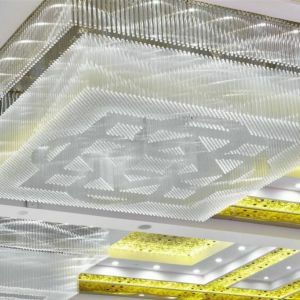 Following an interior design concept, Preciosa developed and produced breathtaking lightings for the lobby, lounge, Sonet restaurant, pre-function hall and ballroom. 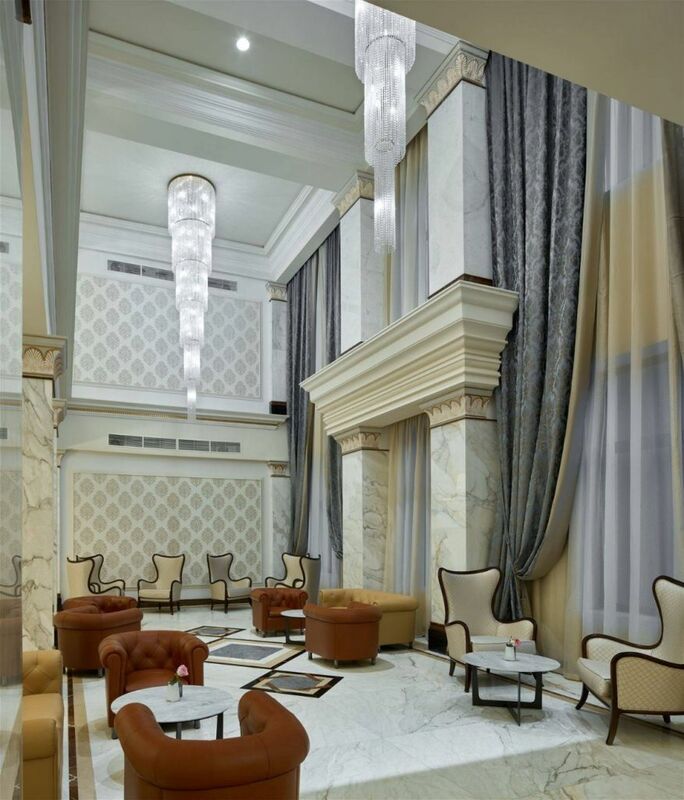 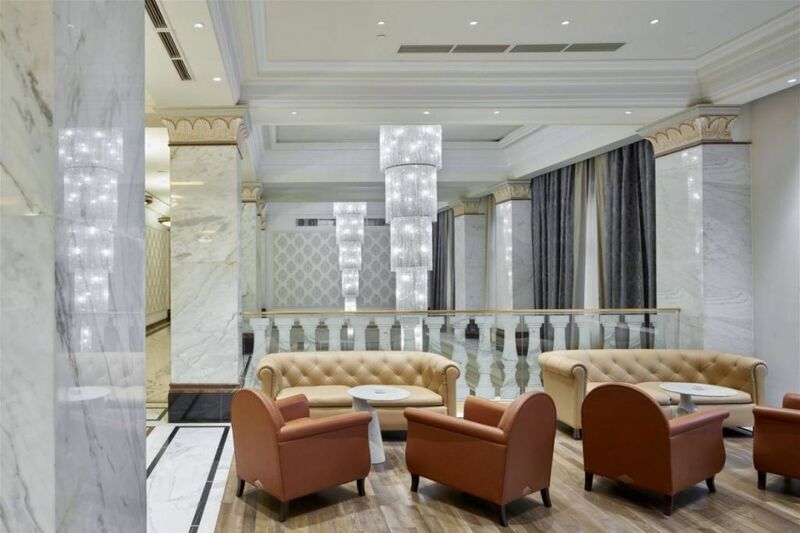 The grand lobby echoes the nostalgia of a bygone era. 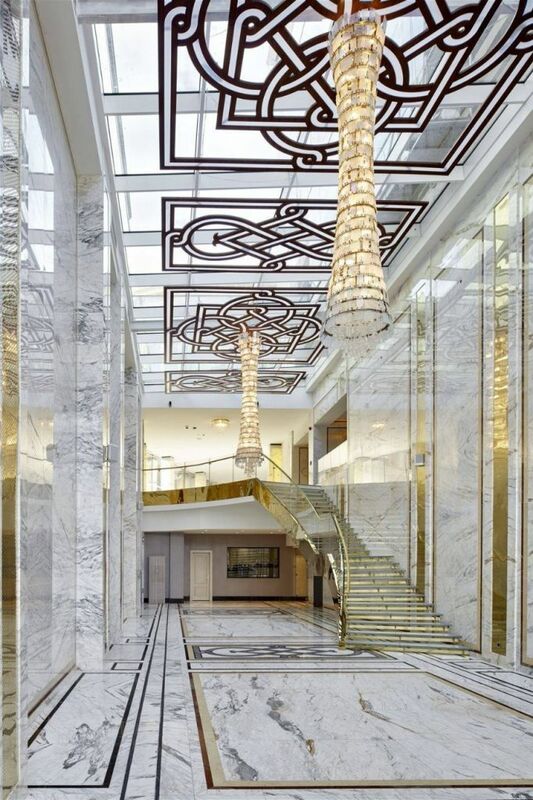 Immaculately restored, it resonates the glamour and prestige of the social elite. 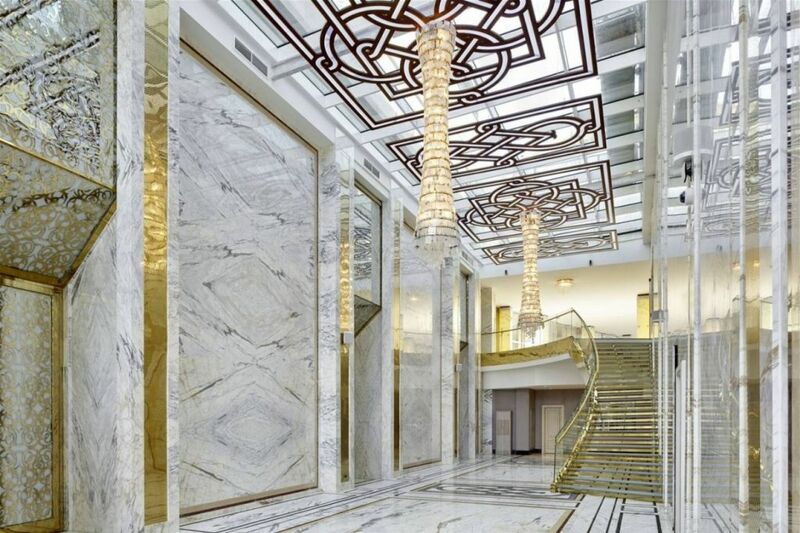 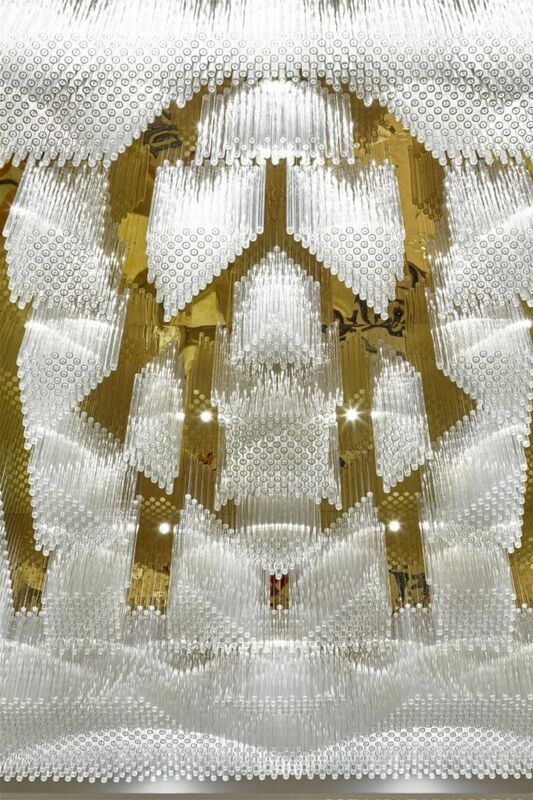 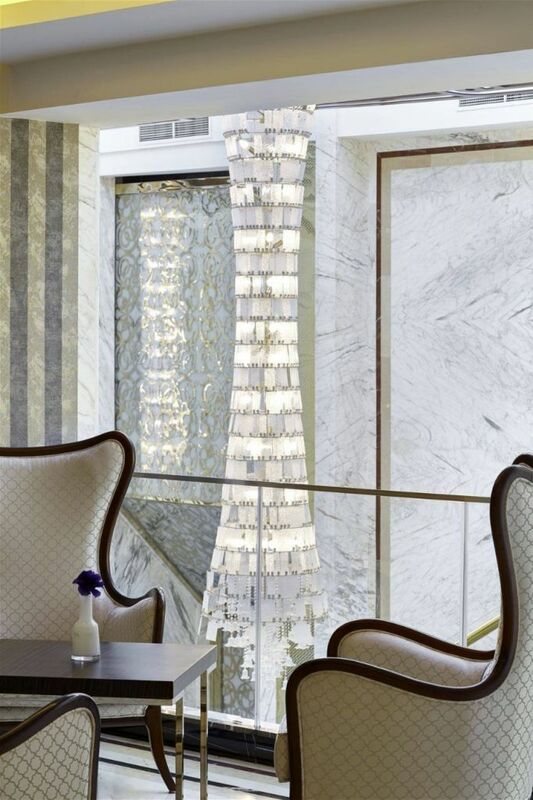 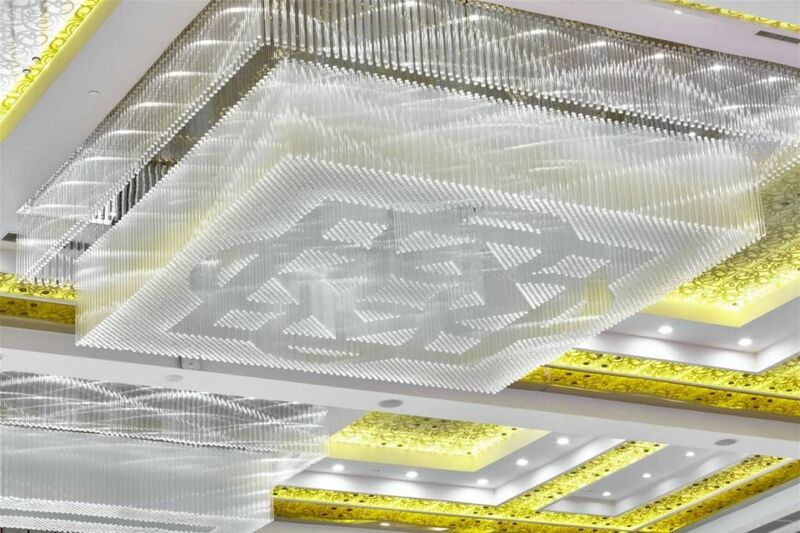 Two 4.5 meter long chandeliers, each composed of 23,000 crystal octagons, match the atmosphere of the lobby. 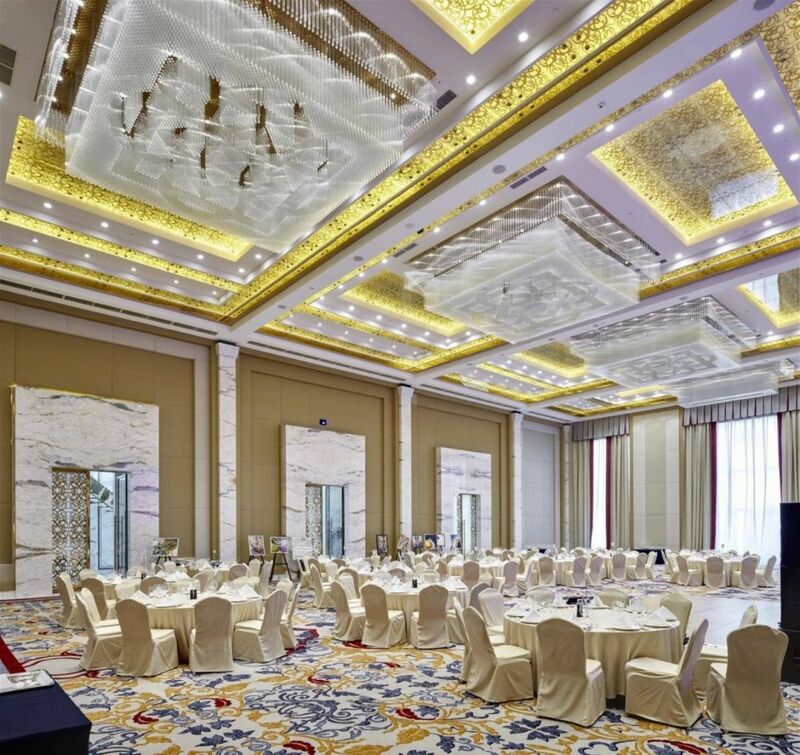 The pre-function hall is dominated by two more than 3 meter high chandeliers. 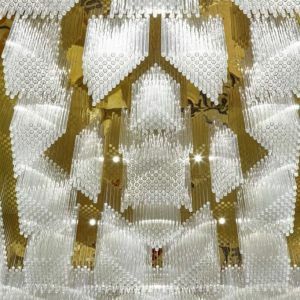 Their distinctive shape is formed from various types of fused glass differing in texture and shape. 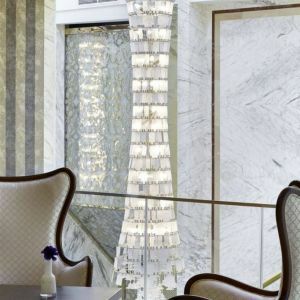 The fixture’s outer glass shell has fissures throughout, as a design element, allowing the cut crystal beads to sparkle through these narrow cracks. 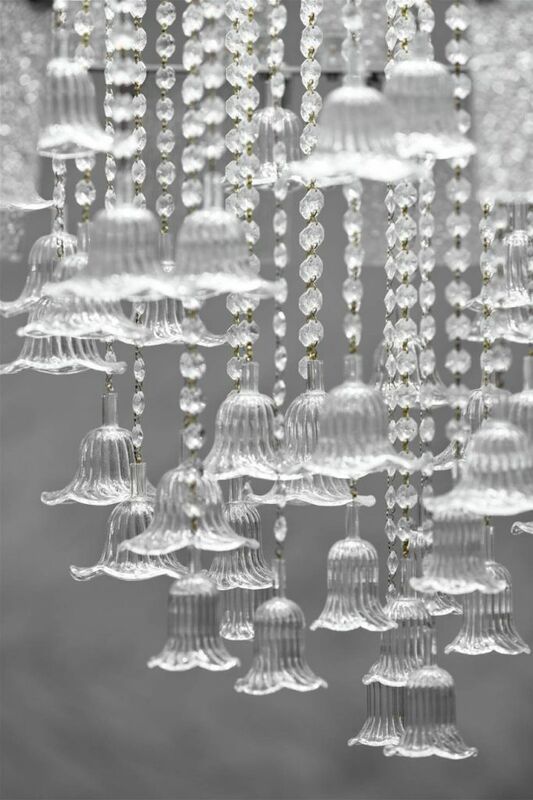 Striking hand-blown glass bells glitter impressively in the lower part of the fixture. 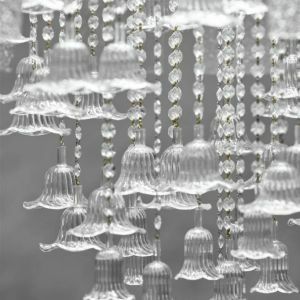 The ballroom is decorated by ornamentally arranged smooth glass tubes, which form four dominant lighting installations.